Should I Get a Smart Thermostat? We Say Yes! What are smart thermostats for? A smart thermostat, also known as a wi-fi connected thermostat or IoT thermostat, functions no differently than a traditional programmable thermostat but it’s ability to be controlled by your smartphone sets it apart as a superior product. The level of control you’ll have with a smart thermostat is well worth the investment. Can you really save money with a smart thermostat? Wondering how much money you can save with a smart thermostat? One of our best selling IoT thermostats, the Nest Thermostat, saved the average customer about 10-12% on their electric bills. An average savings of $150 per year means the a smart thermostat can pay for itself in just under two years. How do you save money by switching to a smart thermostat? There’s no magic here. A smart thermostat monitors, adapts, and adjusts its settings in real-time to best optimize your home’s comfort and electrical usage. 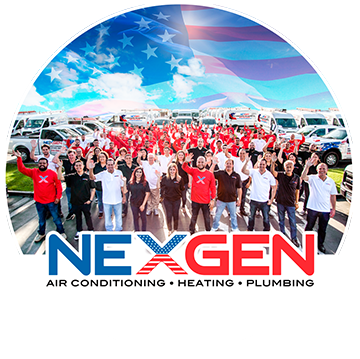 This maximizes the efficiency of your HVAC system. You’ll save money when your smart thermostat slightly adjusts you heating and cooling throughout the day. How much does it cost to install a smart thermostat? Smart thermostats are not that expensive to install. Depending on the complexity of your HVAC system, there may be some variability in your installation price, but for the most part it should be a fairly straightforward procedure. A basic installation may cost $99-$250, while a more advanced installation can range from $200-$300. Can installing a smart thermostat be a DIY job? For most systems the a Smart thermostat is easy to install on your own. If you have a more complicated HVAC system or if you’d just like some help, you can have a licensed contractor install your thermostat. Programmable thermostats were created to help you save on heating and cooling costs, which explains why many homeowners invest in them. The efficiency of a smart thermostat comes down to whomever is in control of the thermostat, and whether they are using it correctly or pushing the temperatures to extremes. ← Why is My Air Conditioner Not Working?